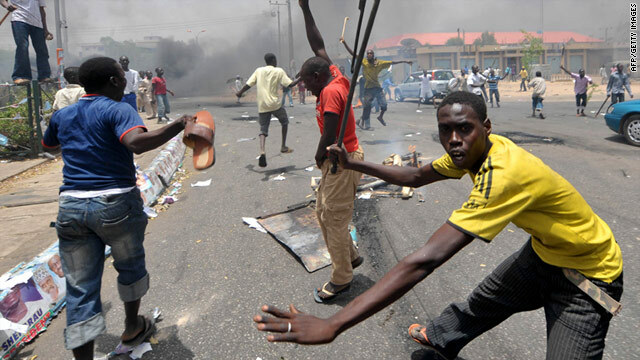 The Police department in Ketu, Lagos have averted what could have been a religious clash. According to Punch, a chemist, Emmanuel Emeka infuriated muslim youths in the Ketu area of Lagos State when he made a blasphemous statement in a magazine. The report said that the angry youth, from Northern Nigeria had seized Mr. Emeka and attempted to lynch him, when the Police intervened. Listing an unidentified source, the report stated that Emeka’s friends were about to fight back as well. “It happened around 9pm on Sunday. The issue could have led to a bloody fight between Christians and Muslims in Ketu, but for the police. “Some of his friends tried to rescue him and that almost started a fight. The police were alerted and they responded quickly and doused the rising tension,” the source said. SP Dolapo Badmos, the Police public relations officer confirmed the incident to Punch, adding that they had been able to put the situation under control. “The Lagos State Police Command averted what could have been a religious crisis between the Igbo community and the Hausa Muslim community due to the timely intervention of its operatives. “The boy was rescued and kept in protective custody. His chemist shop was secured from destruction. Everywhere is calm as the police have intensified patrol in the area after successfully calming frayed nerves,” she said.